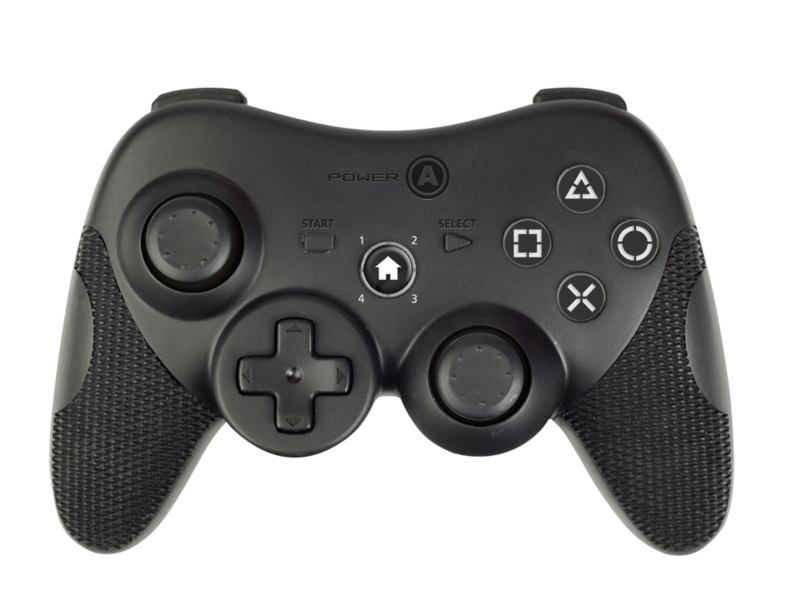 A new controller for the PlayStation 3 Gaming Console has been released by Power A. Pro Elite Wireless and Pro EX Controllers are really comfortable enough offering soft-touch coating and textured grip. It has repositioned analog sticks as well as glowing action buttons. All of the described features will surely make the gaming experience on the console much better. 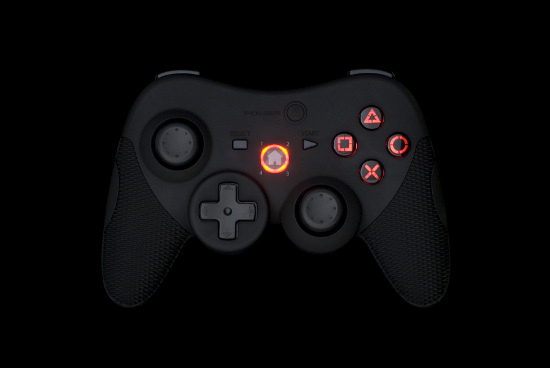 Pro Elite Wireless and Pro EX Controllers have SIXAXIS functionality; custom designed buttons L2 and R2, double rumble motors and LED player channel indicator lights around the button of Home. Dissimilarity between Pro Elite Wireless and Pro EX controller is that Pro EX comes without the SIXAXIS functionality. Eric Bensussen, president of POWER A and BDA said, “The Pro Elite Wireless and Pro EX controllers will give PS3 players the edge they’ve been looking for.” “Once players experience the difference, they won’t want to use anything else but the POWER A Pro Series controllers to play all of the great games coming out this fall and holiday.” he added. The price of the Pro EX is 19.99$ whereas the price of Elite variant will be 49.99 US$. Fountains are the best source of refreshing yourself and the environment. If we talk about pet fountains for refreshment of pets then we can found plenty of pet fountains. Most of the pet fountains remain on every time and almost create disturbance for everyone. But if you want to control this outflow of your water fountain then must go and bring Doggie Fountains. It doesn’t allow water to flow constantly but it flow water whenever your pets activate it. You can enjoy this pet fountain by attaching it to your garden pipe and adjust the height by muddling water pressure. This is one the best way for dogs to acquire cool and fresh water when it’s really a hot day. There is no need to worry about the refilling of the water pots. Your pet fountain will work only when your pets put the steps on that metal plate carrying water fountain. 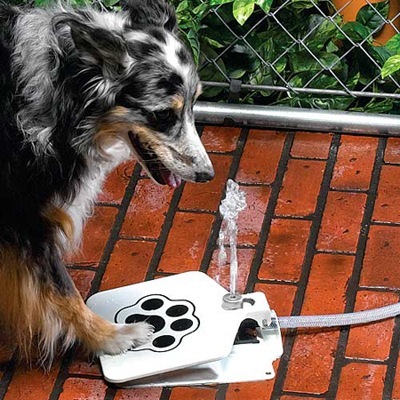 This is one of the good inventions to facilitate your pet as well as to save water of this world. Doggies Fountain is available for only $39.98. 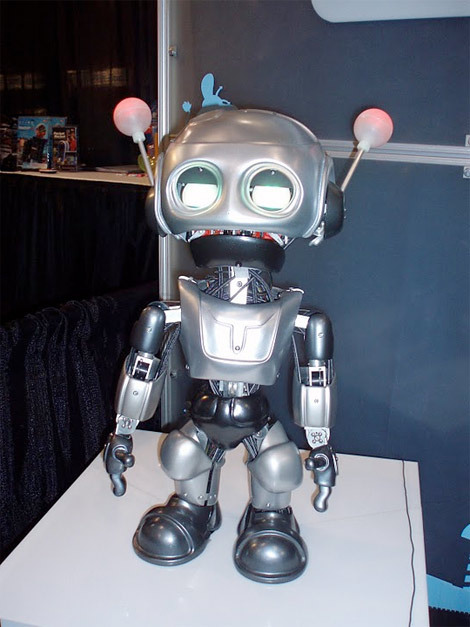 Quasi is toy robot displayed at the International Toy Fair 2010. You can not pass through the Quasi without getting a smile on your face. Quasi can make different facial expressions and body movements like human. It can open and close its eyes that are decorated with upper and lower eye lids and lashes that can be raised. Eyebrows movement is also controlled with a motor. It is wirelessly controlled robot and it is controlled through a tablet computer. You can make it move and express in any way with a control over commands you give it from tablet computer. It follows your commands in everything from the facial expressions to speech. Quasi is better explained and enjoyed on seeing this video. Yeah..it loves to dance. Quasi has not any pre-recorded speech but it speaks and behaves live with facial features and gestures. It can change the color of its eyes that is controlled by the tablet PC. Its eyes contain LED lighting fixtures of red, green and blue colors. Toy Fair is held every year and the purpose behind this show is to introduce and exhibit innovative technology toys with affordable approach for our dear kids and Quasi is one of those innovations. It born in 2006 but came to appearance in 2010 at International Toy Fair, New York America.